There’s a new Marvel movie out every week, Star Wars has returned with a vengeance, and even Star Trek is having another moment in the sun right now thanks to Netflix. There’s no doubt about it. What was once a geeky subculture has now infiltrated pop culture in a massive way. Sci-fi is officially cool. 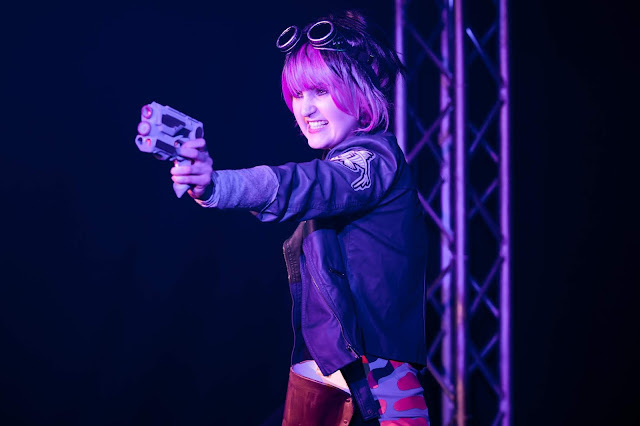 Fanatical, a new musical, takes place at the inaugural fan convention for a fictional comic book turned sci-fi show called Angel 8. Although the show seemingly only had one (unfinished) season, its fan base is a rabidly passionate throng who descend upon a convention centre cosplayed up to the nines, ready to meet the Angel 8 creator Scott Furnish. However, there’s a spy within the ranks; a reporter from the sleazily named Pump Magazine, who is tasked with reporting back on the nerdy atmosphere, and Lycra clad cosplaying women. Reina Hardy and Matt Board’s Fanatical is clearly a musical made by sci-fi fans for sci-fi fans. It perfectly encapsulates what it’s like to be part of a niche fan group, and doesn’t hold back on Tumblrific dialogue and geek-culture references. Suanne Braun is entertaining as frazzled con organiser and Angel 8 superfan Trix, whose love for the show is plain to see. The book is a fun if extremely predictable one. There are no big surprises or shocking moments, and the first act in particular is a little slow and directionless, whilst the pace picks up significantly in the more dramatically engaging act two. The cast is clearly having great fun with the show, and the script allows for every possible type of fan to be represented within the ensemble. Amy Lovatt is endearing as a fanfiction artist, alongside Amber Sylvia Edwards as a cosplayer, and Theo Crosby as a podcaster in the earworm Look What I Made. However, the score does seem to play it a bit safe and peaks early with the bubblegum unrequited love song Me Slash You, hilariously performed by Eddy Payne’s Baxter, leaving the audience longing for similarly catchy pop inspired numbers. The finale features another musical highlight; a feel-good song which encourages audiences to embrace their passions, whatever they may be. But the middle of the musical lacks a number punchy enough to rival those that sandwich it. 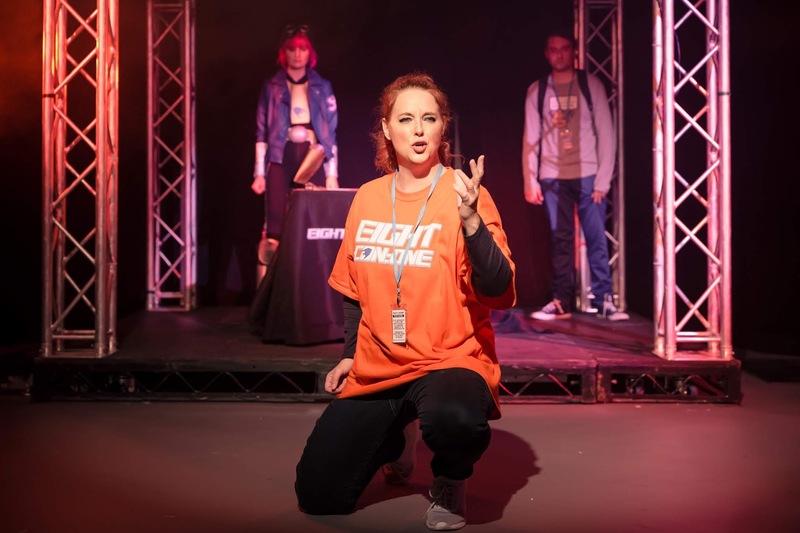 Despite its faults, Fanatical is a lovingly crafted musical creation, and with a few tweaks, like several other sci-fi musicals seen in recent years, it could be on its way to cult status.